Following specific farming practices, their turkeys are free-roaming, only having vegetarian diets that exceed food safety standards, to continue producing clean artisan food everyone will feel good serving. Birds are given amplerimw to grow and develop naturally. Diestel Family Turkey Ranch also goes above and beyond for the environment. They preserve rare breed, and embrace regenerative practices that help conserve natural resources. 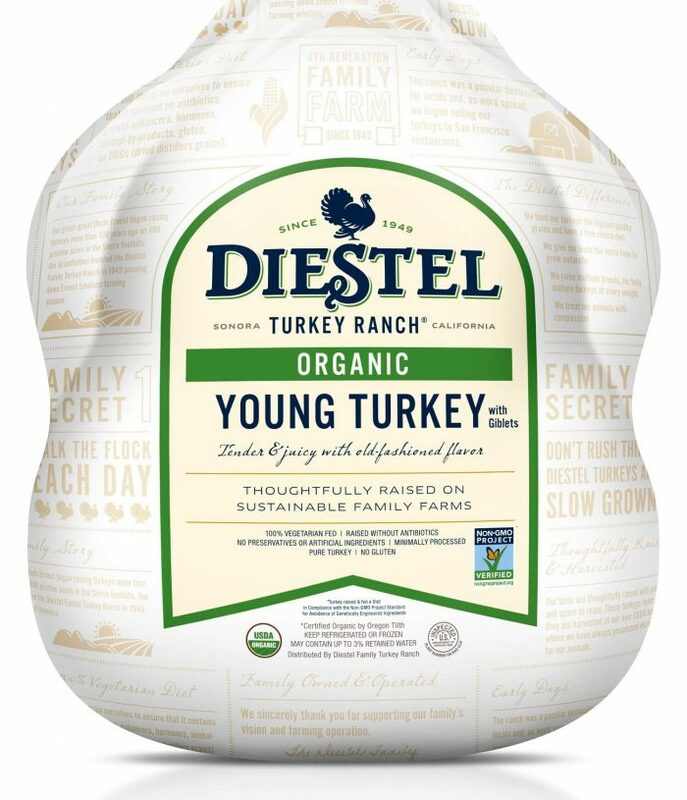 These organic turkeys are raised with certified organic feed, which by definition is also NON-GMO! 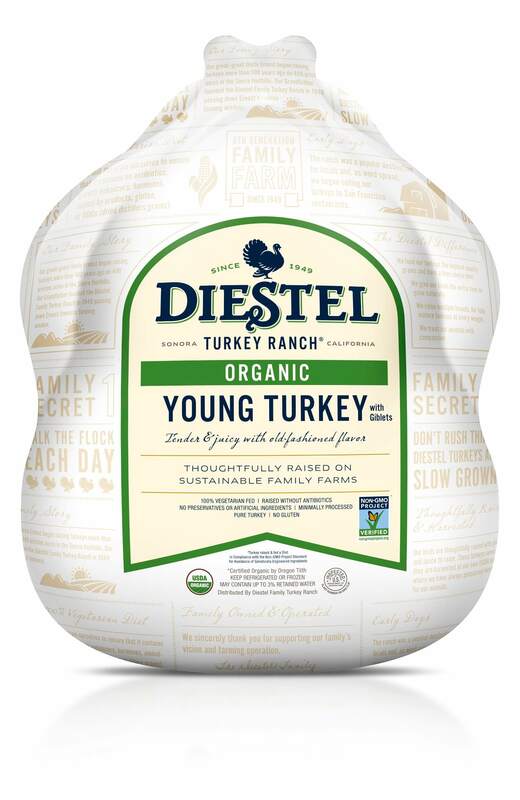 If you want a certified organic choice, you’ll love the Diestel Organic Turkey.